Canada based PRAXES Medical first joined forces with the Clipper Race in 2013. Following a successful first partnership during the Clipper 2013-14 Race, the two organisations created ClipperTelemed+, combining PRAXES’s medical expertise with the Clipper Race’s global platform in order to offer the benefits of a 24/7 global telemedicine service to other mariners. During the Clipper 2013-14 Race, PRAXES Medical responded to 96 calls for medical assistance, which contributed to a reduction of in-port hospital visits and a £300,000 reduction in insurance claims. ClipperTelemed+ by PRAXES Medical has extended its Medical Partnership with Clipper Round the World Yacht Race until 2020, providing on board medical supplies and 24/7 access to tele-physician services for the duration of the race. 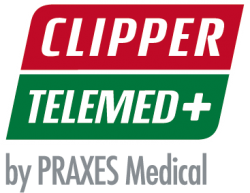 Ahead of the Clipper 2017-18 Race start in August, ClipperTelemed+ by PRAXES Medical will provide medical training for the twelve Clipper Race Skippers and designated on board Medic crew. Susan Helliwell, PRAXES Medical Group CEO, said: “Being able to provide rapid access to expert medical advice, anywhere, anytime, for those taking on this challenging adventure, not only provides excellent peace of mind for crew members and their loved ones, but also reduces the overall costs and disruption of unnecessary medevacs and vessel diversions. ClipperTelemed+ is focused on the global marine market. The operating partner, PRAXES Medical Group has supported fishing fleets, the Canadian navy, coast guard and joint rescue services, oil and gas rigs, mines sites and even prisons with immediate physician support for over 20 years. Today PRAXES serves 75,000 people globally; citizens of over 40 countries.